Fr. 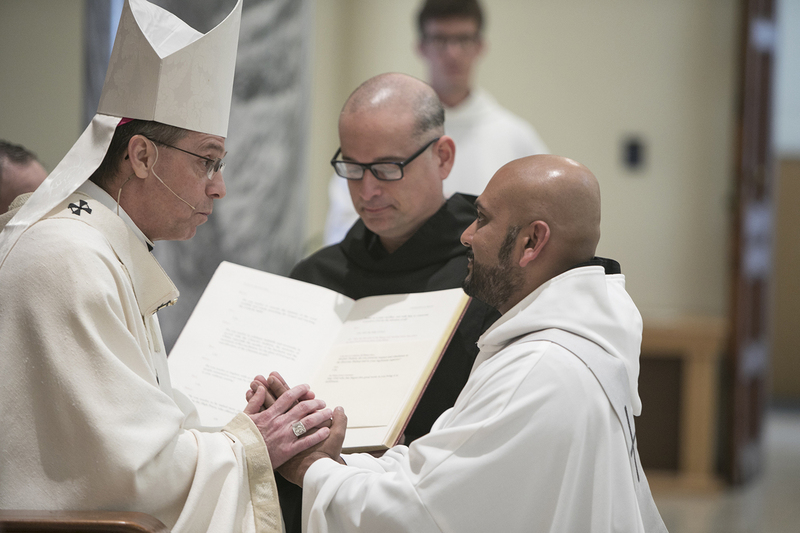 Peduru Fonseka, OSB, a monk of Saint Meinrad Archabbey, was ordained as a Roman Catholic priest on Saturday, August 11, 2018, by the Most Rev. Charles C. Thompson, archbishop of the Archdiocese of Indianapolis. The ordination was held in Saint Meinrad’s Archabbey Church, St. Meinrad, IN. In 2008, he earned a bachelor’s degree in civil engineering from the University of South Alabama in Mobile. He then worked as a structural engineer at Barter & Associates Inc. in Mobile, until joining the monastery in 2011. He professed solemn vows on August 15, 2016. He graduated from Saint Meinrad Seminary and School of Theology in May 2018 with a Master of Divinity degree.